Within the next year, as gas prices continue to be extreme, will we be able to pay for our commute to work or what about a day of fun? 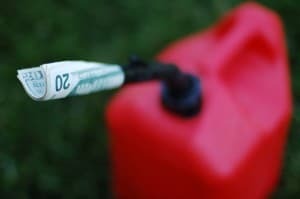 The gas prices are truly out of control and it may become necessary to re-evaluate how many trips are made and how many trips can be combined into one to save on gas. The future of gas is uncertain but if it is like anything else, it will continue to rise. Right now the average price is around in Beverly Hills, California is $3.83 to $4.44 a gallon. That same gallon of gas in Columbus, Ohio will only cost a commuter $3.38, a significant decrease just by driving across the country. Many people are wanting to know what is the driving force behind these high prices? It is a combination of things that increases the prices. The first thing is the supply shortages and the pipeline problems experienced in the past kept gas prices elevated for nearly a year. In April of 2012, gas prices hit an all-time high of $3.95 a gallon, leaving many disgruntled during a fill-up. Also in the same year, the Hurricanes that occurred off the gulf coast also came into play once again raising gas prices higher than before. Predictions for 2014 are that gas will continue to drop. As these areas have got their supplies replenished and some have switched to a more economic type of fuel, the prices have surprisingly decreased. It is no secret that California pays some of the highest gas prices in the country. But even a reduction to around $3.60 per gallon would be a welcomed relief for some parts of the US. However, if a refinery or a pipeline should shut down again, this could cause the prices of gas to soar to more than $5.00 per gallon. To find the best gas prices, head to the South around Tennessee and South Carolina. Some of these states are barely above the $3.00 mark. The lower gas prices will provide some relief to those who want to travel during the Christmas season this year. American’s are complaining that they are using more gas and more money than they ever have before. The new fuel efficient vehicles and cutting the overall consumption shows that American’s are tired of paying the high prices. Consumption levels are the lowest they have been in nearly 11 years and this proves to be good indication of things to come. People are using less gas and learning alternative ways to save. While prediction show that 2013-2014 looks favorable for gas price decline, only time will tell. One major hurricane or disaster that affects the gulf pipe-lines could once again send American’s into a tail spin with prices soaring.